Play Music: "Stevie Wonder/Higher Ground"
The Americans 91/92 Girls Soccer Teams were formed in the winter of 1998 with a roster of approximately 17 girls. Their first competitive season was Spring/99 at the U7 level, and although the team has seen changes over the years, 11 of the current 34 girls remain from the original roster. The team, which took the name "Angels" in the Spring/00 season, has steadily improved from year to year and in Fall/00, captured their first NCSA title when the Angels/Blue tallied an 8-2 record. Spring/01 found both teams standing at the top, with the Angels/White team compiling a 9-0 record for their first NCSA title & the Angels/Blue taking their second with a record of 9-0-1. This past Fall/01 season found both teams repeating as Division Champs as White went 8-1-0 and Blue, 9-0-1, for their second consecutive undefeated season. 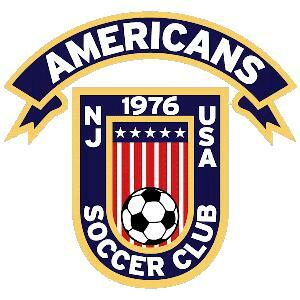 They previously competed in the Northern Counties Soccer Association & starting with the Fall/03 season, will compete in the U12G Elite Flight of the Morris County Youth Soccer Association. They also attend numerous indoor/outdoor tournaments throughout the year. The Angels strive to play the game of soccer to the best of their ability, while keeping their main objective in sight: To play hard & always, always, always have fun. Be assured that they will continue in this tradition; Their head coach Jimmy Tramutola & his staff wouldn't have it any other way. 266 visitors have signed our guestbook.